Making funds available to support children from low-income families so they don't miss out..
We are developing a pilot project to make small grants to school children in Thailand so that they, too, don't miss out on sports, school trips, or cultural activities. All of these projects are based on our belief that carers are in a key position to help those who would otherwise miss out. If you have an idea you'd like to share with us, we'd love to hear from you. 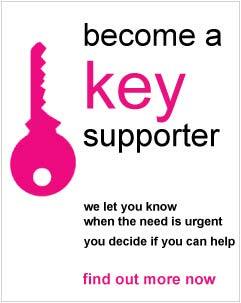 Rather than support established 'causes', many of which are already well resourced, we support people in real, but often short-term need who are not able to access help from others. We understand that the growing commercialisation of charity in the UK sometimes marginalises those whose need doesn't fit a particular 'good cause'. We want to make a real difference to the lives of ordinary people who miss out on the help they deserve. We believe one answer lies in working alongside individuals who are already 'in touch' with people's real needs. That's why we're piloting our small grants project with Head Teachers. Whilst we are not accepting unsolicited applications for funding, we would like to hear from you if you have an idea that fits these aims.